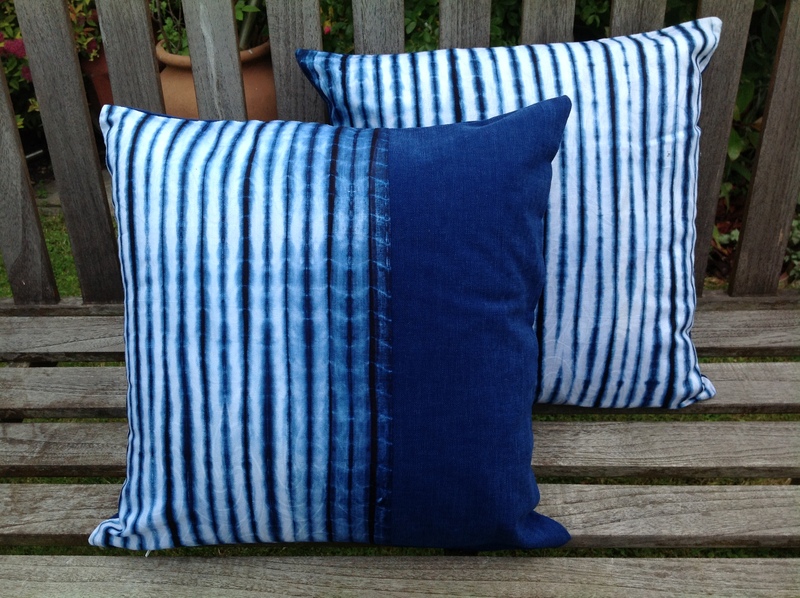 A handmade nautical panel cushion using 100 percent cotton fabric sourced from West Africa. 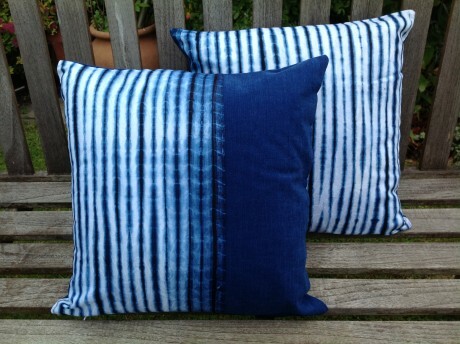 The base cloth has a jacquard design with tie-dyed indigo blue and white stripes. The panel on the front of this cushion is also made of 100% cotton fabric available in a choice of blue or white. The cushion size is 40cm X 40cm, and the cushion is supplied with a hollow fibre inner. 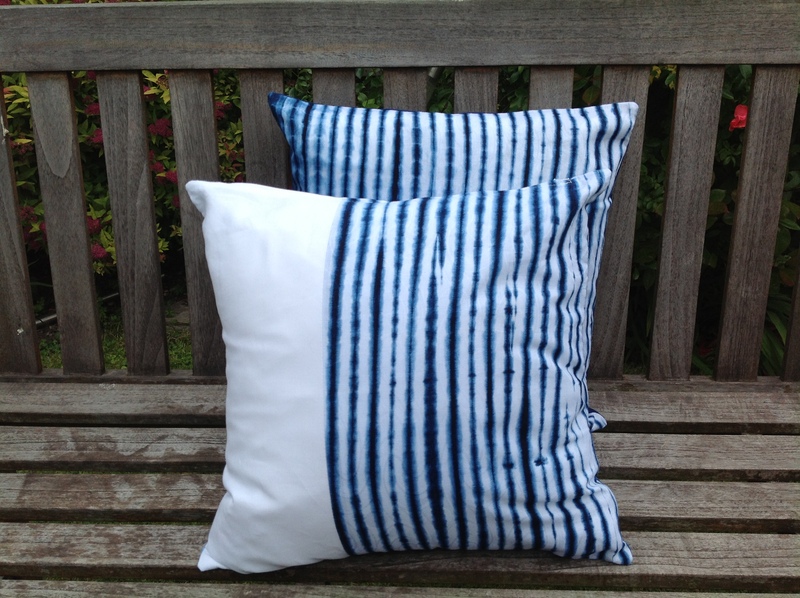 The nautical theme range is also available in a full nautical stripe design, co-ordinating with the blue or white panel cushion. 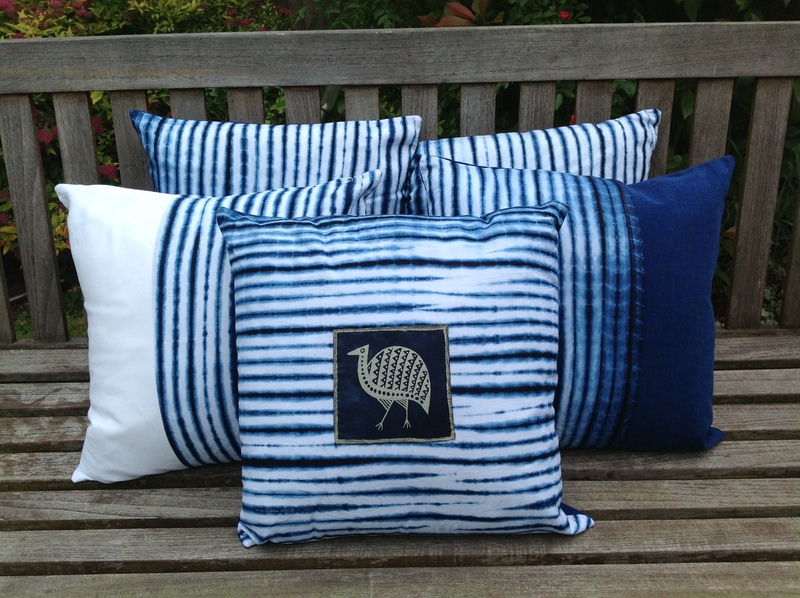 For a striking combination, match with the Guinea Fowl Nautical cushion.